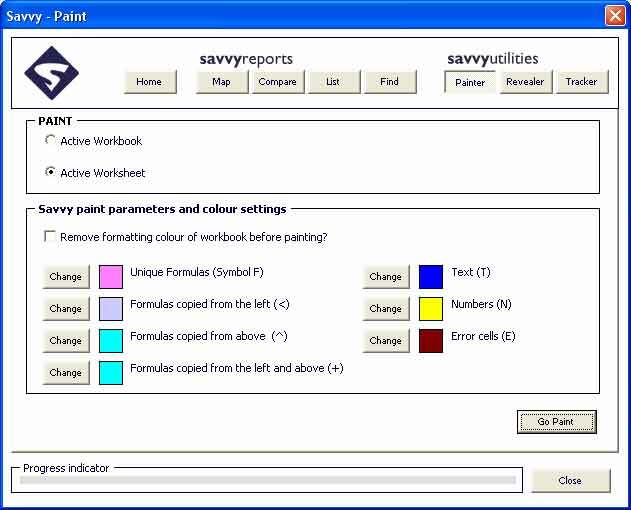 Savvy Painter: This utility highlights unique formulas, copied formulas, numbers, text and error cells in the model by painting these cells in a selected colour. Painting a model in this way gives you a picture of its logical structure, which helps you to understand the model more quickly. Example Scenario : "I have received a power plant model from the project sponsors. My MD wants me to write a numerical assumptions book for it but I don't know where all the assumptions are, this is going to be a nightmare!" 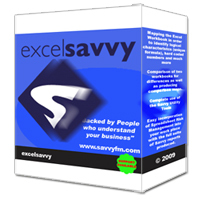 Savvy solution : "Use Savvy painter on the model to paint in red all the cells containing numerical input. This will allow you to see where most of the assumptions are so that you can write your numerical assumptions book."